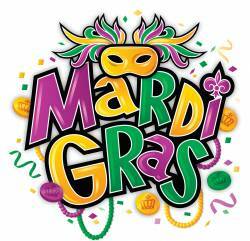 Mardi Gras will be celebrated by St. Mary’s on Saturday, March 2, 2019 at the Springside Inn beginning at 6:45 pm. Heavy hors d’oeuvres of indulgent foods we’d give up for Lent will be served at multiple stations. Good Time Charlie DJ will be there. Masks and beads will be available; people can come in costumes. Raffle baskets and silent auction items and more. Full price tickets are $125 for two; $65 for one. Early bird specials at $115 for two; $60 for one will be available on the next two Sundays, February 3rd and February 10th. Tell your friends and relatives; everyone over 21 is invited.